Hudsons Catering was today celebrating their superb success at the Scottish Weddings Awards in Glasgow. Having won their place by public vote they were thrilled to be included amongst the finalists for the Independent Caterer of the Year. 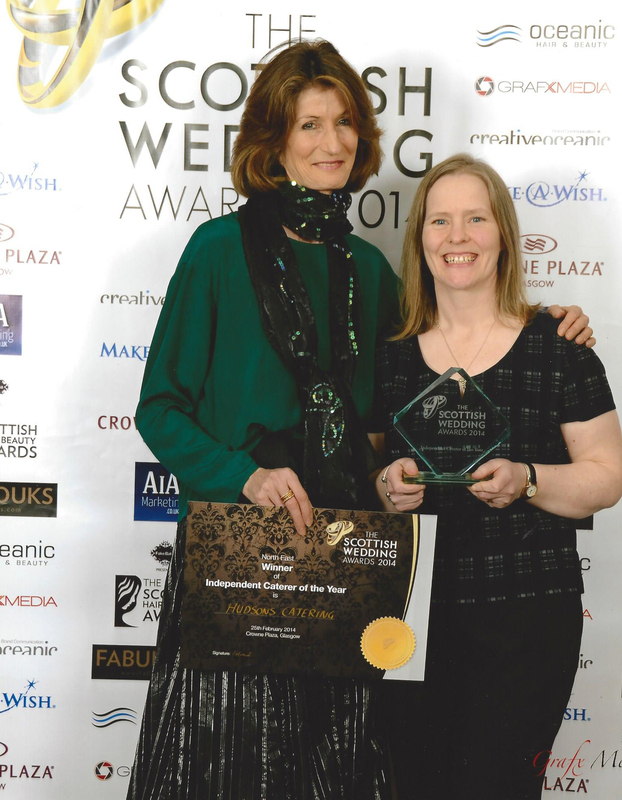 Winning the regional category alone was a great achievement but then it was announced that they had won the overall category and they were named as The Scottish Wedding Awards 2014 – Independent Caterer of the Year. “We are thrilled to have won this award. This is a tribute to the team and their hard work.” said Suki Hudson at last night’s ceremony. The Scottish Wedding Award will now sit alongside their VOWS award which they won in 2009.